A Life Logic has been operating as a reputable counselling service in Brisbane for many years. Operating under principles of best practice and housing a highly qualified and experienced psychologist, A Life Logic offers understanding and supportive face-to-face counselling at our premises, or alternatively professional counselling and motivation from the comfort of your own home. A Life Logic is run by Ruane J Lipkie, a registered Brisbane psychologist and a member of the Australian Psychological Society (MAPS). 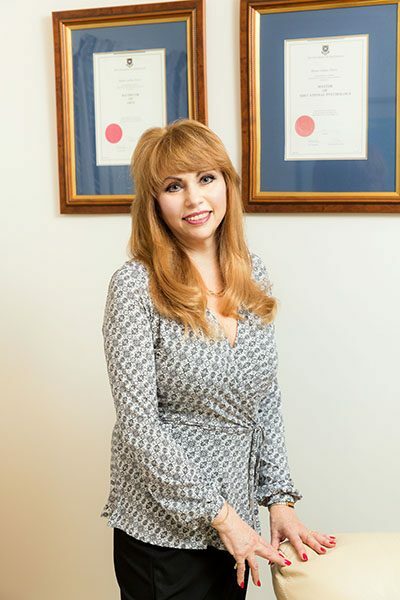 She offers 18 years of experience and a Masters in Psychology from Brisbane’s University of Queensland. View Ruane’s Australian Psychological Society Profile by clicking this link. For Ruane, psychology goes beyond being a mere job. Professional psychology is a vocation about which Ruane is passionate. She strongly believes in the overwhelming positive benefits of professional therapy and has developed a proven track record over 18 years of using evidence-based therapy to successfully treat women, men and children of all ages. Helping families to stay together, transition through divorce and maintain relationships. She also provides information and support for clients dealing with special needs children and family members. She prides herself on maintaining strong support options for those seeking a constant therapy support in their lives. Her counselling and psychology sessions are one on one and she is the sole practitioner so you can rest assured it will be her service you receive at each therapy/counselling /psychology session. A Life Logic offers psychology and counselling advice for a range of modern day challenges including clinical, developmental, emotional, educational and relationship concerns. Whatever your needs, A Life Logic will tailor an approach to suit you. In a confidential and relaxing environment situated in West Brisbane, A Life Logic will help you find a solution to your individual experience. To learn more about how A Life Logic can help you, take a look at our safe and effective counselling approach and psychology methodologies. Or contact us now for a consultation in our Brisbane location, or from the comfort of your own home.